On October 29, 2018, the U.S. Departments of Labor (DOL), Treasury (“Treasury”) and Health and Human Services (HHS) (together, the “Departments”) issued proposed regulations that would allow a health reimbursement arrangement (HRA) to be used for the purchase of individual health insurance coverage and include an “excepted benefit” HRA that is not subject to the market reform rules of the Patient Protection and Affordable Care Act (ACA). This would be a change from the current rules, and it could have a significant impact on the future of employer-sponsored group health plans (GHPs). The proposed regulations also include new rules about the: (1) ACA premium tax credit (PTC), (2) Employer Mandate (Internal Revenue Code §4980H), (3) ERISA status of individual health insurance, and (4) new enrollment periods for individual health insurance. Below is a summary of the proposed regulations and an explanation of their possible impacts on GHPs. An HRA is an account-based GHP that reimburses expenses for medical care for the employee, his/her spouse and his/her dependents, subject to a fixed-dollar amount of reimbursements over a period of time. An HRA is funded solely by employer contributions. HRAs are GHPs and subject to many of the provisions of the ACA. The ACA includes market reform rules (“Market Reform Rules”) that apply to most GHPs, such as no annual limits on essential health benefits (EHBs) and covering preventive care at no cost. Some GHPs are exempt from the Market Reform Rules, such as GHPs with less than 2 participants who are current employees on the first day of the plan year (the retiree-only plan exemption) and certain excepted benefits (as defined under Internal Revenue Code Section 9832), such as limited-scope dental or vision benefits or certain employee assistance plans (“Excepted Benefits”). In general, HRAs are subject to the Market Reform Rules and cannot be provided to employees unless integrated with other GHP coverage that is subject to the Market Reform Rules. Another aspect of the ACA is that it includes a PTC to assist certain individuals with the cost of individual health insurance coverage obtained on the Exchanges. Currently, an individual is ineligible for the PTC for any month if he/she is covered by an HRA. On October 12, 2017, President Trump issued an Executive Order that stated, in part, that the Departments consider proposing regulations to increase the usability of HRAs and to expand employers’ ability to offer HRAs to their employees. The proposed regulations issued by the Departments on October 29th are in response to that Executive Order. The proposed regulations remove the prohibition on integration of HRAs with individual health insurance coverage if certain requirements explained below are met. In this article, that type of HRA is referred to as an HRA-IHIC. Requirement #1 — Actually Enrolled in Individual Health Insurance Coverage. All individuals who are covered by the HRA-IHIC (including the employee and his/her spouse and dependents) must be enrolled in individual health insurance coverage that meets the requirements of Public Health Services Act (PHSA) §§ 2711 and 2713. This includes most individual health insurance policies, but not short-term limited duration insurance (STLDI) or Excepted Benefits. Requirement #2 — Cannot Offer Both an HRA-IHIC and a Traditional GHP to the Same Class of Employees. To avoid adverse selection issues, an employer may offer HRA-IHIC coverage to a class of employees ONLY if the employer does not also offer a traditional GHP to the same class of employees. (A traditional GHP is generally an employer-sponsored major medical plan.) Essentially, employees cannot be offered the choice between an HRA-IHIC or a traditional GHP. For each of the categories above, there are very specific definitions. For example, for the class of “fulltime employees” the employer can chose between two different definitions — the one set forth in Internal Revenue Code (“Code”) §105(h) (the definition used for the nondiscrimination testing for self-funded health plans) or Code §4980H (the definition used for the Employer Mandate). The exact definition to be used must be set forth in the HRA-IHIC plan document prior to the beginning of the plan year. An employer can combine classes. For example, the employer could offer the HRA-IHIC to all part-time employees covered by a CBA and not offer it to any fulltime employees. An employer cannot treat hourly and salaried employees as different classes. The Departments have requested comments on whether the regulations should permit multiple gradations of part-time employees, such as all part-time employees who work at least 20 hours per week but less than 30 hours per week. Requirement #3 — Same Terms. The HRA-IHIC must be offered on the same terms (including the amount) to all employees within the class, with some variations allowed, as explained below. The maximum dollar amount for participants within the same class of employees may increase as the age of the participant increases, so long as the same maximum dollar amount attributable to that increase in age is made available to all participants of the same age within the same class of employees. In addition, the maximum dollar amount made available to a class of employees may increase as the number of the participant’s dependents who are covered under the HRA-IHIC increase, as long as the same maximum dollar amount attributable to that increase in family size is made available to all participants in that class of employees. The Departments prohibit the use of “benign discrimination” meaning that an employer cannot provide a more generous contribution to individuals in an HRA-IHIC based on an adverse health factor (such as cancer). The Departments are aware that some employers may wish to allow employees to pay a portion of the individual health insurance coverage, not covered by the HRA-IHIC amounts, through a pre-tax salary election under a Code §125 plan. If the employer allows this under its Code §125 plan, that same option must be made available to any participant in a class of employees. Note that a pre-tax salary election cannot be used for the purchase of individual health insurance coverage on the Exchange because that is specifically prohibited by the ACA — and cannot be changed by the Departments. Lastly, Treasury notes that allowing the HRA-IHIC amount to vary based on age may create nondiscrimination issues under Code §105(h). Treasury states that it intends to issue guidance that includes a safe harbor that would allow for this design. Requirement #4 — Opt-Out Provisions. If a participant is covered by the HRA-IHIC, he/she (and the covered spouse and dependents) is not eligible for a PTC. Participants must be allowed to opt out and waive future reimbursements from the HRA-IHIC at least annually. This will allow the individual, if he/she is otherwise eligible, to obtain the PTC. If the employee terminates employment, either the remaining amounts in the HRA-IHIC must be forfeited or the participant must be allowed to permanently opt out and waive future reimbursements. Requirement #5 — Substantiation and Verification. Individuals whose medical care expenses may be reimbursed under the HRA-IHIC must be enrolled in individual health insurance coverage for the plan year. The HRA-IHIC must implement procedures to verify this coverage requirement, which may consist of (1) documentation by a third party (e.g., an insurance card), or (2) an attestation by the participant. In addition, with each new reimbursement request, no reimbursement can be made until the participant provides the required substantiation. It is unclear if a debit card for the HRA-IHIC could meet this substantiation requirement. Requirement #6 — Notice. To make sure individuals understand that if they are covered by the HRA-IHIC, they are ineligible for the PTC, these individuals must be provided with a written notice at least 90 days prior to the beginning of each year. For participants who are not yet eligible to participate at the beginning of the year, the notice must be provided no later than the date on which the participant is first eligible for the HRA-IHIC. The notice must contain specific information set forth in the regulations, such as the terms of the HRA-IHIC (including the annual coverage amount), the right to opt out, information about the PTC rules, and other information. Some issues to consider with these new HRA-IHIC regulations include: (1) whether the Trump Administration has been consistent about the desire for individuals to have access to more affordable individual health insurance coverage, and (2) whether employers will offer these HRA-IHICs, and if so, for which classes of employees. While a goal of the HRA-IHIC will be for individuals to purchase individual health insurance coverage, previous actions by the Trump Administration may make those plans more expensive. It may be that the HRA-IHIC will drive more people to the individual health insurance market to temper that outcome. Will Employers Offer the HRA-IHIC? We do not anticipate that many large employers will adopt the HRA-IHIC for their fulltime employees. Robust health plans have become a recruitment tool for many large employers. And these large employers did not cease offering traditional health coverage once the ACA Employer Mandate rules were issued, even though for many of those employers, it was less costly to pay the excise tax under Code §4980H(a) than to offer traditional health plan coverage. In addition, the individual health insurance plans often have a narrow network. While this makes those plans more affordable, it also makes them less attractive. However, we predict that the HRA-IHIC may be offered: (1) by small employers, (2) to part-time employees at any size employer, and (3) to classes of employees who reside in remote geographic area (i.e., the class of employees whose primary site of employment is in the same rating area). The Departments issued proposed regulations that allow for stand-alone, excepted benefit HRAs. This article will refer to those as EBHRAs. The EBHRA is not subject to the Market Reform Rules, and coverage under the EBHRA does not make an individual ineligible for the PTC. There are four requirements for the EBHRA, which are explained below. An employer is not permitted to offer both an HRA-IHIC and an EBHRA to the same group of employees. Requirement #1 — Not an Integral Part of the Plan. Other GHP coverage (other than an account-based plan or a coverage consisting solely of Excepted Benefits) must be made available each year by the employer to the participants who are offered the EBHRA. While the employer is required to make this offer of other GHP coverage, EBHRA participants (and their dependents) are not required to enroll in that GHP. Requirement #2 — Limited in Amount. The amounts made available under the EBHRA cannot exceed $1,800 (indexed for inflation) each plan year. Any amount that carries over from year to year in the EBHRA does not count against the $1,800 limit. 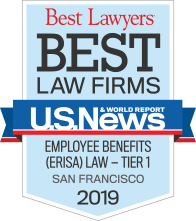 If the employer offers more than one EBHRA, the amounts under all such plans are aggregated to determine if the annual dollar limitation of $1,800 has been exceeded. Requirement #3 — Limited Premium Reimbursements. An EBHRA cannot reimburse premiums for individual health insurance coverage, coverage under a GHP (other than COBRA) or Medicare Parts B or D. However, an EBHRA can reimburse premiums for health insurance coverage that consists solely of Excepted Benefits, premiums for STLDI or COBRA premiums. Requirement #4 — Uniform Availability. An EBHRA must be made available under the same terms to all similarly situated individuals, as defined in the HIPAA nondiscrimination regulations (groups that are based on a bona fide employment-based classification, such as fulltime, part-time, occupation, collectively bargained employees or geographic distinctions), regardless of any health factor. For example, an EBHRA could not be offered only to employees with cancer or, alternatively, those who are cancer-free. Prior to the passage of the ACA, many employers offered HRAs to employees. Due to the limitations in the ACA, these plans became scarce, unless offered as part of a GHP. Employers will likely welcome having the opportunity to offer employees an EBHRA. The proposed regulations also include new rules about the: (1) PTC, (2) Employer Mandate (Code §4980H), (3) ERISA status of individual health insurance, and (4) new enrollment periods for individual health insurance. The proposed regulations amend the PTC rules for individuals who are offered, or covered by, an HRA-IHIC. An employee who is covered by an HRA-IHIC must be offered the ability to opt out of that coverage. HRA-IHIC coverage causes the employee and his/her covered spouse and dependents to be ineligible for the PTC. An employee (and his/her spouse and dependents) who is offered, but opts out of, an HRA-IHIC may be eligible for a PTC for any month if the HRA-IHIC is not affordable and does not provide minimum value. This article does not discuss how to determine affordability and minimum value for the HRA-IHIC. Treasury and the Internal Revenue Service (IRS) intend to issue guidance in the near future that will include a safe harbor rule for determining whether an employer that has offered an HRA-IHIC could be treated as having made an offer of affordable coverage that provides minimum value for purposes of the Employer Mandate, regardless of whether the employee declines the HRA-IHIC and receives a PTC. The purchase of any individual health insurance coverage must be completely voluntary for the employees. Reimbursement for non-GHP premiums is limited solely to individual health insurance coverage. The employer (or other plan sponsor) receives no consideration in the form of cash or otherwise in connection with the employee’s selection or renewal of individual health insurance coverage. Each plan participant is notified annually that the health insurance coverage is not subject to ERISA. Determining what makes individual health insurance coverage subject to ERISA has been a key issue for many years, since the private exchanges became popular. 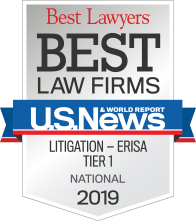 If these plans are subject to ERISA, it would be hard for them to comply with all of the various rules, such as how the premiums for those plans are determined. There are some significant questions that arise from these proposed rules, including whether the private exchanges can continue to exist in their current form, given that only a subset of insurance carriers offer coverage on those private exchanges. In addition, often the entity that runs the private exchanges (such as large consulting firms) will offer administration services at no (or a very low) cost because of the insurance commissions it receives. That would seem to violate requirement #4 above — that the employer cannot receive any consideration. Currently, an individual can only enroll in individual health insurance coverage during open enrollment or a special enrollment period. Those rules would not address newly adopted HRA-IHIC plans initially offered outside of the annual open enrollment period for individual health insurance or ones offered to newly hired employees. HHS has proposed regulations to create a new special enrollment period for individuals newly covered by these HRA-IHICs — for individual health insurance coverage offered both on and off the Exchanges. Effective Dates. The proposed regulations state that any final regulations for the HRA-IHIC and EBHRAs, as well as the ERISA-coverage rules for individual health insurance, will apply for plan years beginning on or after January 1, 2020. The new PTC provisions will take effect for taxable years beginning on and after January 1, 2020, and the new special enrollment period provisions would take effect on January 1, 2020. However, all of the proposed regulations state that they cannot be relied on — employers must wait for final regulations to be issued.